If you are looking for engineering jobs in the Toronto area, please contact us to find out what positions we have available. Engineering Jobs – The industry of engineering contains several major categories, each with a number of employment opportunities. 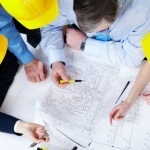 The top categories of engineering jobs include civil, electrical, and mechanical. A civil engineer typically will focus on the design of structures or roads, which would also include bridges and other similar transportation elements. He or she can also aid in improving processes to become more eco-friendly. Electrical engineers design the electrical systems of structures, while mechanical engineers design, test, and improve all types of mechanical devices, including tools, vehicles, and machines. All engineers play important roles in society, since they aid in improving the function of the machines, buildings, and roads that each of us use on a daily basis. All engineering jobs require a degree from a university in the subject in which they plan to work. Some jobs require a postgraduate degree, although this is more common in research and educational positions. At Belanger Engineering, we offer engineering jobs in Toronto, Ontario. We work closely with the construction companies in the area, so we offer positions that are more hands-on. Our employees work on job sites, creating and designing plans that will improve the functionality of buildings. If you are looking for engineering jobs in the Toronto area, please contact us to find out what positions we have available. The most common things done in mechanical engineering jobs include researching and testing the functionality of engines in vehicles and other machinery, processing materials, and designing and developing new machines. At Belanger Engineering, we provide engineering jobs to residents of Toronto, GTA, Mississauga, Markham, and Ajax, Ontario.